South Africa followed the perfect blue print to register a win in Indian soil. They batted first, put up a huge score and then allowed their bowlers to run havoc. They put up 558 on the board, and the Indian line-up that had two debutants in the form of Subramaniam Badrinath and Wriddhiman Saha struggled against the Saffers. Initially he picked up the wickets of Murali Vijay and Sachin Tendulkar and then came back to take Badrinath’s wicket at the right time. The Indian batsmen couldn’t handle his reverse swing bowled at a serious pace, and from there he just cleaned up the tail completely to finish with seven wickets. South Africa registered an innings victory. 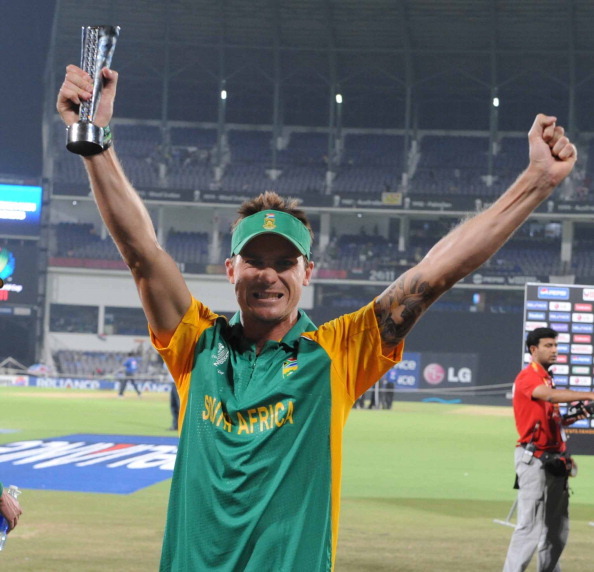 It was one of the most remarkable comebacks for both Steyn and South Africa. Facing India in the group stage during the 2011 World Cup, they got off to a worst start as Tendulkar and Virender Sehwag went berserk. Steyn’s first spell saw him leak 34 runs off four overs. However, it was the final spell that made all the difference as he spit venom on the Indian batsmen and had Gautam Gambhir and Yusuf Pathan dismissed in the same over to finish with a match winning haul of 5 for 50, which also earned him the Man-of-the-Match award.